Perhaps bolstered by a strong showing at this year’s Emmys—or just being very invested in winning the game of Game Of Thrones thrones—Amazon is making deals left and right this morning. 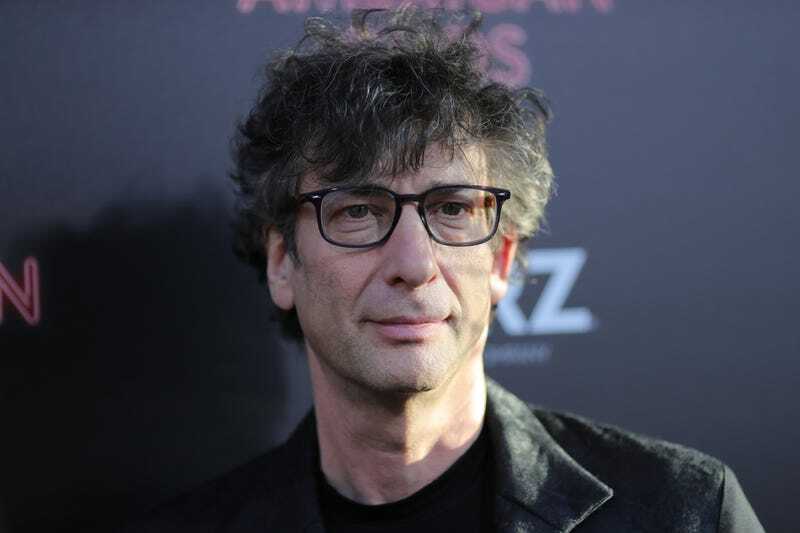 First, The Wrap reports that Jeff Bezos’ streaming arm has signed an overall deal with Neil Gaiman, who’s already deep in production on the TV adaptation of Good Omens. That six-part series, which stars David Tennant and Michael Sheen as a demon and angel trying to stave off the end of the world (supernatural beings—they’re just like us! ), is expected to arrive in 2019, but there’s no word on what other shows Gaiman might produce as part of this deal. The Gaiman deal was announced at a press conference in London on Tuesday, where Amazon gave a straight-to-series order for the Wheel Of Time adaptation. Robert Jordan’s fantasy series centers on Moiraine, a member of a powerful all-female organization who leads five people on an epic journey under the belief that one of them could save—or destroy—humanity. Wheel Of Time’s journey to the small screen has been almost as complicated—last year, we reported that Red Eagle Entertainment, who threw together a pilot and aired it on FXX one night in 2015, had teamed up with Sony Pictures Television on the adaptation. According to Deadline, Red Eagle and Sony are still on board, and have brought on Survivor and Agents Of S.H.I.E.L.D.’s Rafe Judkins as showrunner. Amazon Studios head Jennifer Salke sounds ready to throw this production into high gear: “The Wheel of Time is endlessly fascinating and resonates hugely with fans as one of the best-selling global properties, and we were drawn to its timely narrative featuring powerful women at the core.” This is just the latest score for the streamer, which announced adaptations based on Lord Of The Rings and Conan The Barbarian earlier this year.